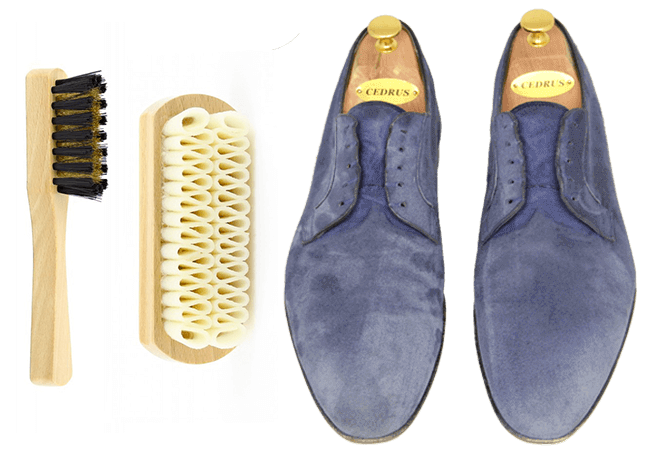 This lesson shows you how renovate and protect suede shoes that have suffered the effects of time and bad weather. 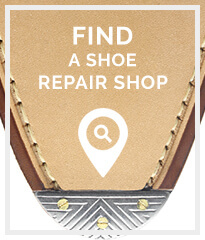 Frequency: Every 2 months (based on an alternate use of 3 pairs of shoes). Note that genuine suede is no longer used for making shoes. 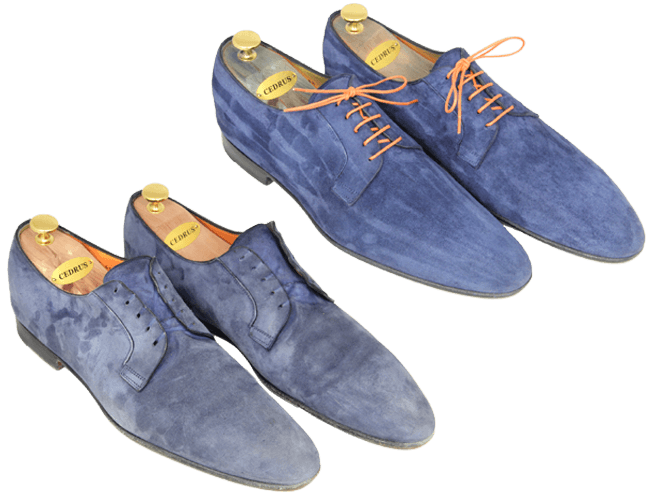 The term “suede” refers to either calfskin for which the flesh side is used, or nubuck, which is leather that has had its surface roughened with sand paper or a millstone. This lesson applied to both types of suede. Contrary to popular belief, suede is a very easy-to-maintain, tough material. Brush your shoes with your shoe cleaning brush to remove any excess dirt. It is important to remove as much dirt as possible so that it does not becoming trapped in the suede during the next stages. Over time, suede becomes shiny. Its nap flattens, smoothens out and gets blackened. It is important to dull the suede before nourishing and protecting it. If not, your care products will not penetrate the suede and will not therefore protect its surface. To dull the suede, use a brass suede brush in a back and forth direction on the suede until the surface resembles the texture of a peach skin. 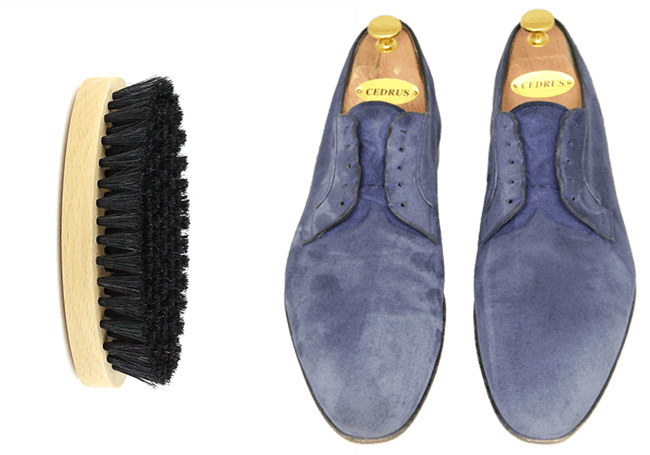 If the brass suede brush does is not enough, use a crepe suede brush and apply more pressure. 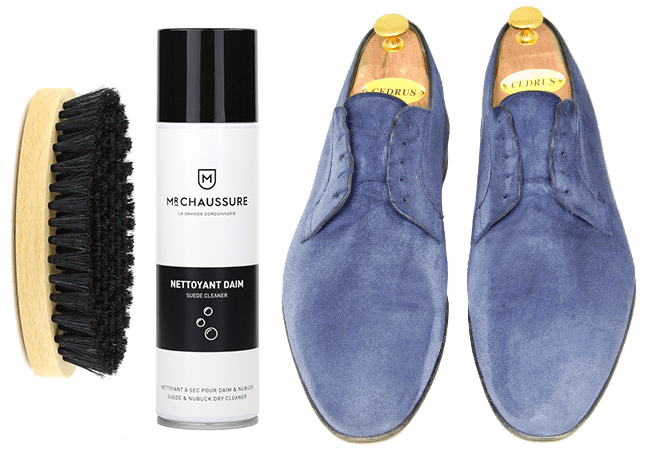 Cover your work surface and spray the suede cleaner evenly at a distance of 30cm from the surface of the shoe. 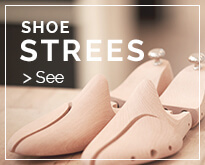 Brush the shoe immediately afterwards using your shoe cleaning brush. If your shoe sole is made of leather, consider polishing its edges including the heel (see the shoe polishing lesson). 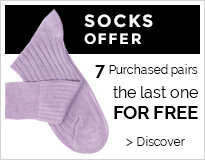 Allow your shoe to dry before moving on to the next step. On your covered work surface, apply your suede renovator evenly at a distance of 30cm from the surface of the shoe. 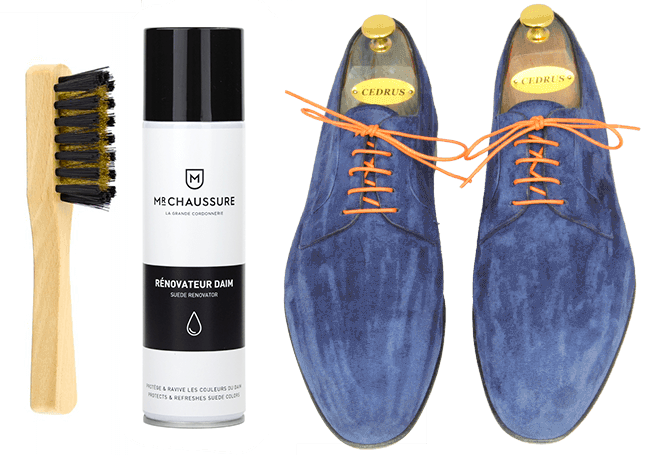 Allow to dry for about 15 minutes, then brush the shoe with a brass suede brush in a back and forth direction to obtain a perfect finish. Wait until the suede has completely dried before replacing the shoe laces.